Sweet and Dainty! 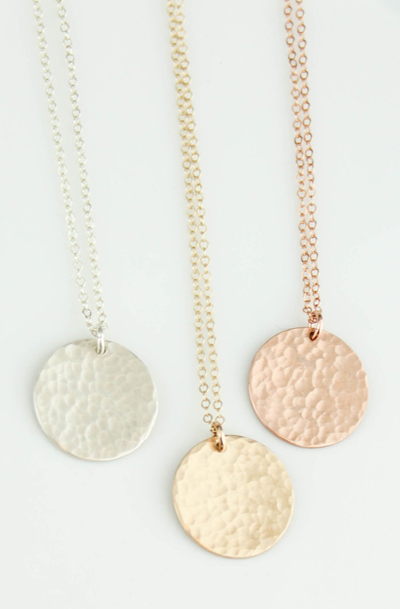 This tiny ball necklace is perfect for layering and made to order - Gorgeous! 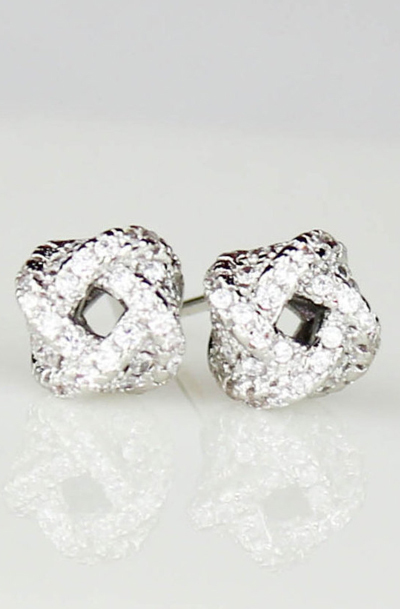 ♥ Ball is 4mm and available in both a smooth and hammered finished. A beautiful gift for yourself or someone special ♥ This necklace is a great piece for layering or to wear on it's own. 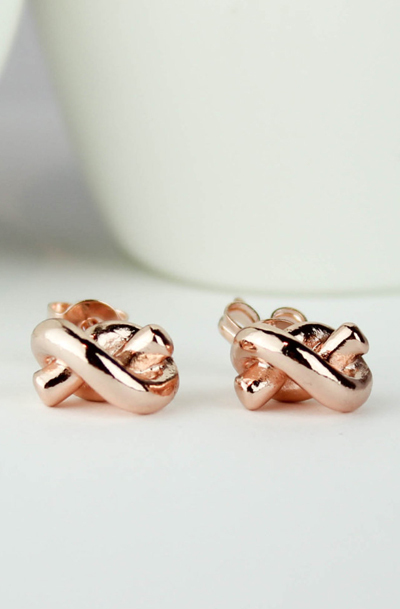 These cute little earrings are so simple and sweet....A perfect gift! Brand new to my shop and one of our new favourites :) We have made this necklace for lots of Mommy's and Grandmothers.. so cute! 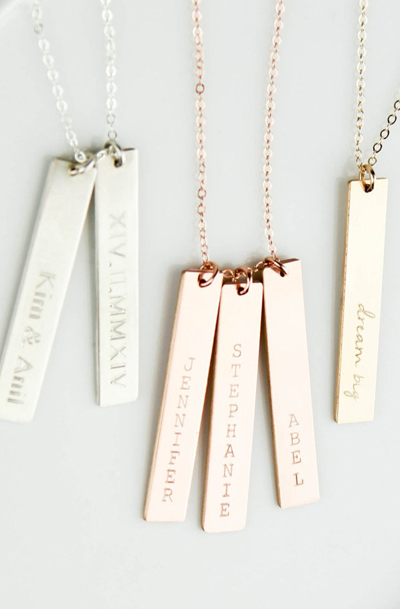 All components, charms and chain are gold filled/ rose gold filled or sterling silver. 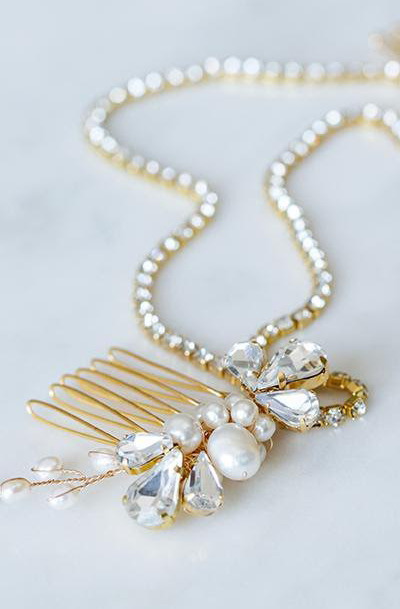 This gatsby-eqsue crystal chain hairpiece, features two golden rhinestone chains and two golden combs finished with art deco inspired clusters of ivory pearls and tear-drop rhinestones. 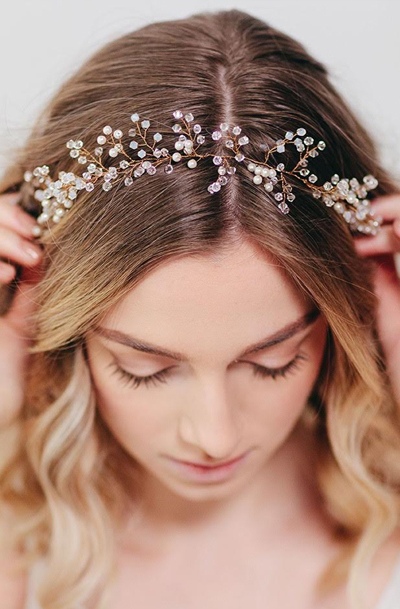 Accented in gold or silver, this bridal head piece perfectly blends luxury and ethereal femininity. 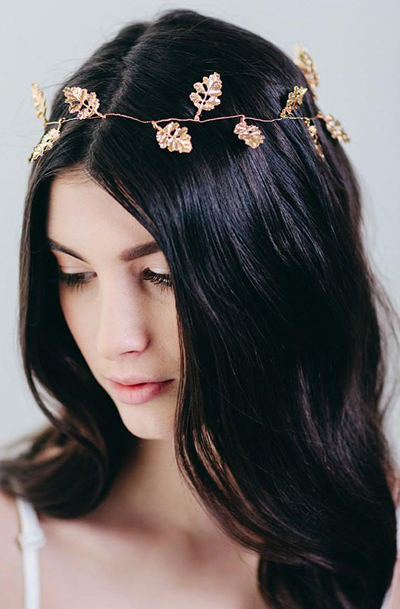 Ethereal golden leaves are woven along the golden wire of this goddess-inspired bridal halo. 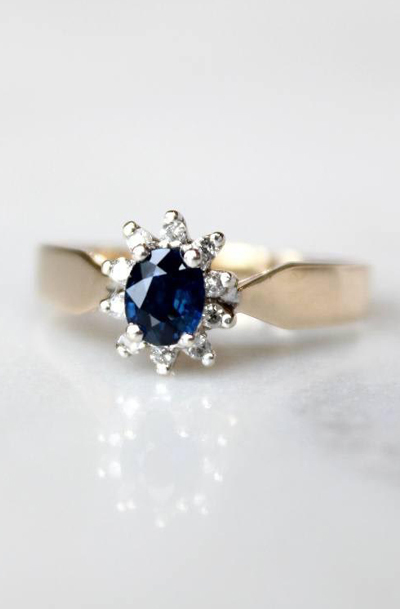 An antique engagement ring featuring an oval-cut, deep blue sapphire centre stone, surrounded by a halo of 10 single-cut diamonds. The stones are set in 14k white gold and set atop a 14k yellow gold band. A golden hair wreath of delicately hand-spun wire with blossoming Swarovski crystals, frosted beads, and glassy buds. This bohemian golden hair wreath is finished with an ivory satin ribbon and ties neatly with a bow. Long Gold Leaf Necklace. Layering Necklace. 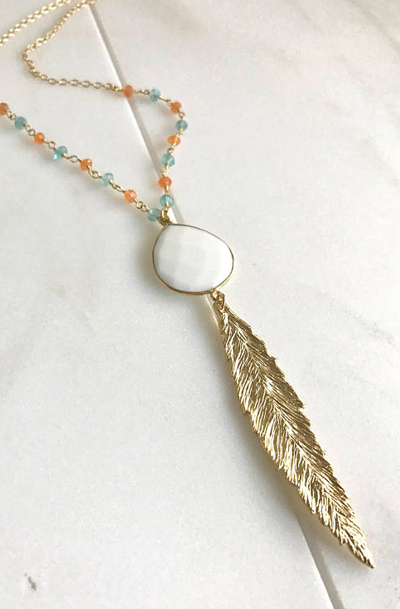 White Stone Feather Necklace. Beaded Necklace. Jewelry. Boho Jewelry. Gold Aqua Necklace. Triangle Pendant Necklace with Black Arrow and Gold. 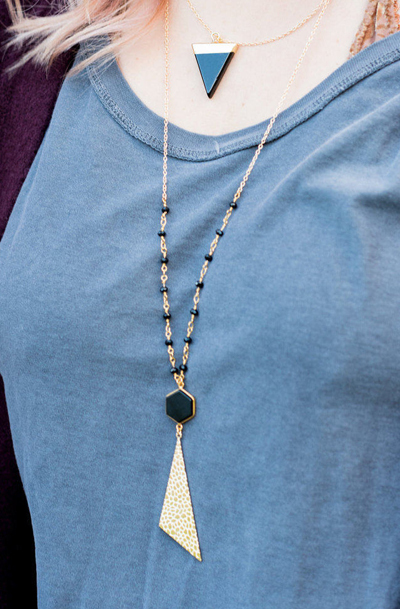 Black Stone Geometric Necklace. Jewerly Gift. Holiday Jewelry. Gift for Her. 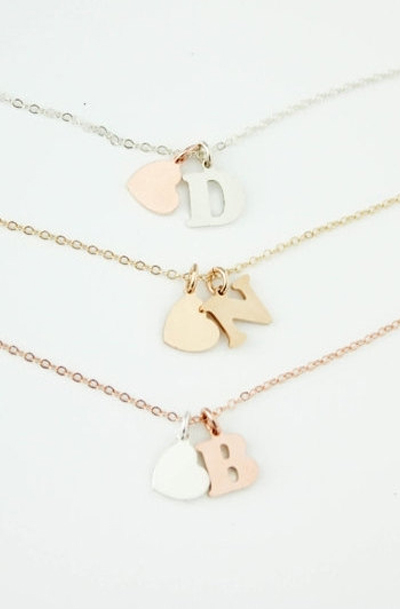 hese gorgeous bracelets are great for layering or to wear on their own. 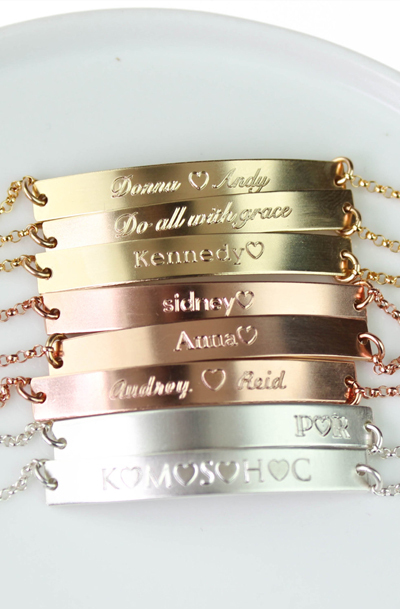 You can customize the bracelet with your own special quote or message on both the front and back of this beautiful piece and makes the perfect gift! 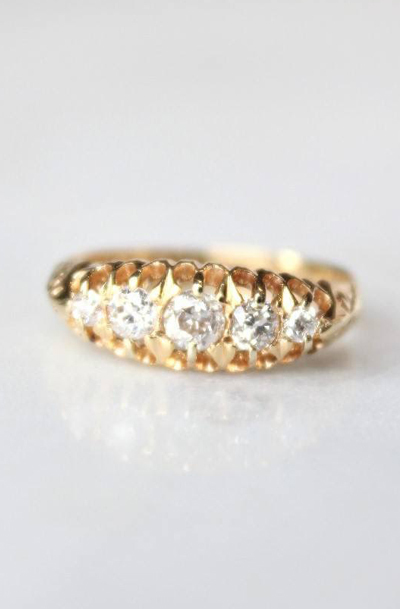 Handcrafted in 1908, this antique engagement ring features five European cut diamonds. The diamonds are set atop an 18k yellow gold band accented with filigree and detailing along the front and back of the basket. On the inner band, this ring maintains its original inscriptions, the initials H.L.T. and W.E.A in script. 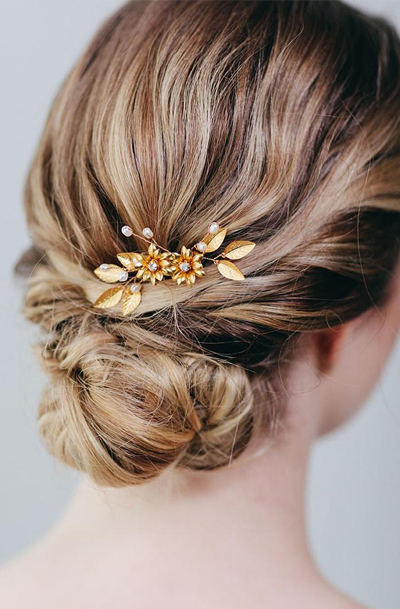 A golden sunflower hair comb inspired by organic autumn bouquets, featuring gold leaflets and ivory pearls blooming from its hand-wired golden branches. 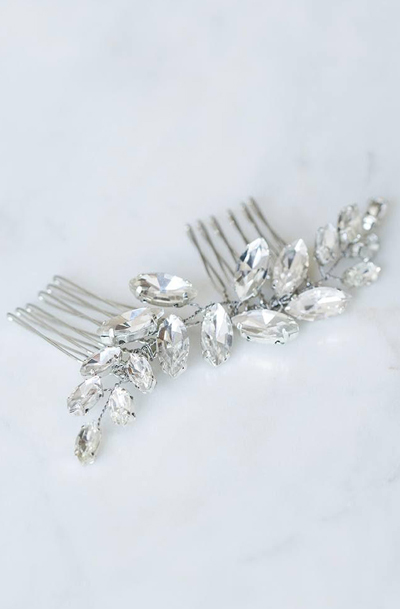 This hair comb is finished with a golden comb. 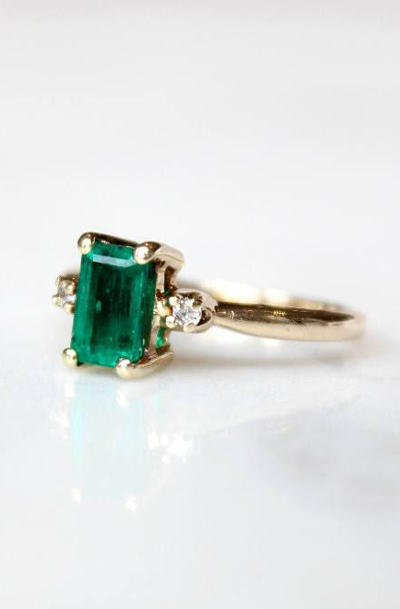 An emerald stone accented by a single-cut diamond on either side, set atop a 14k yellow gold band that tapers slightly, making this vintage emerald ring even more feminine. 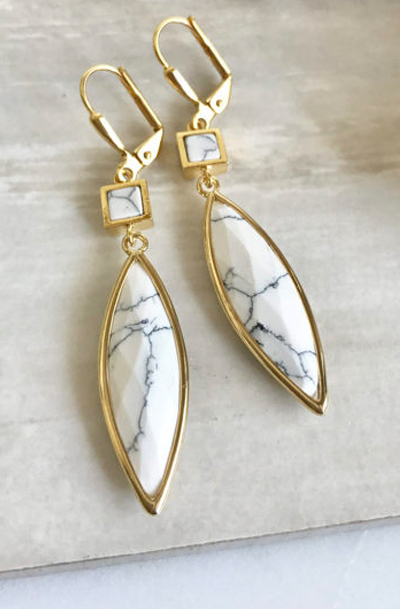 Long White Turquoise Drop Earrings in Gold. Drop Dangle Earrings. Gift. Jewelry. Dangle Earrings. Gift for Her. The stones are synthetic turquoise. The earrings are about 1.75 inches long. 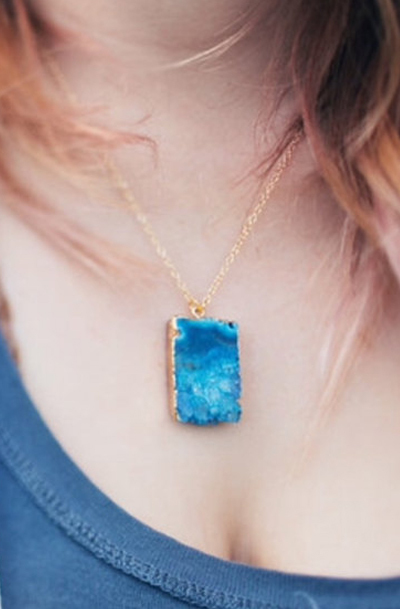 Blue Druzy Necklace. Crystal Geode Necklace. 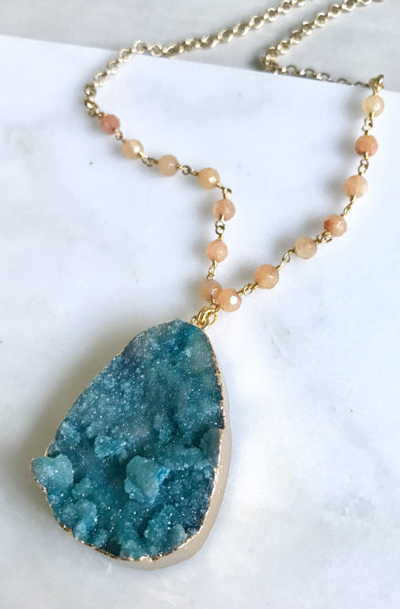 Druzy Jewelry. 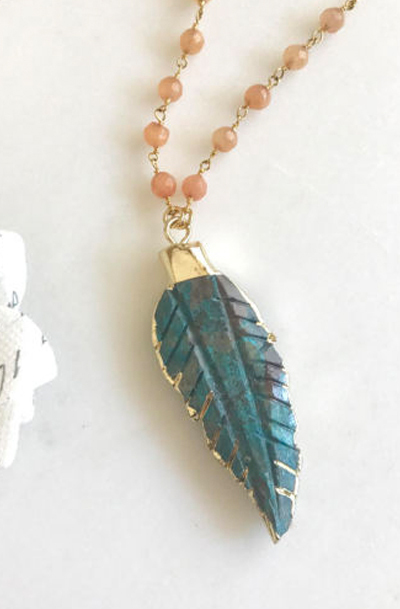 Stone Necklace. 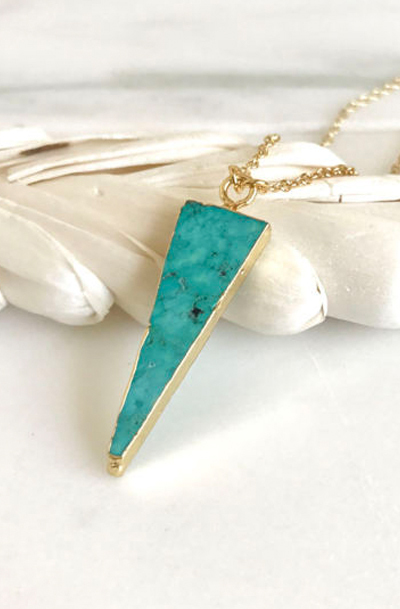 Teal Aqua Gold Necklace. Chunky Necklace. Gift. Simple Shell Crescent Beaded Necklace. 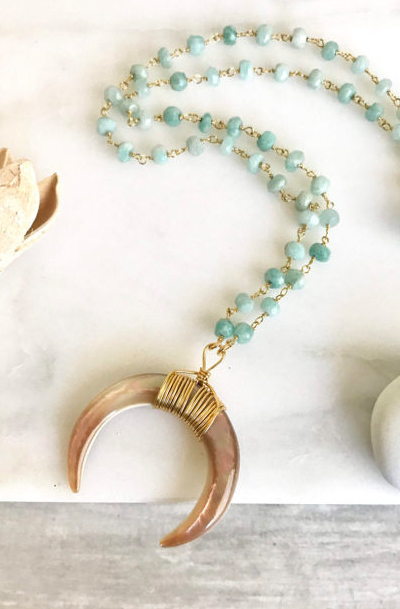 Everyday Boho Necklace. Dainty Gold Necklace. Layering Necklace. Jewerly Gift for Her. Crescent. Sweet, lovely and perfect for every day, yet delicate enough for a dressy occasion.